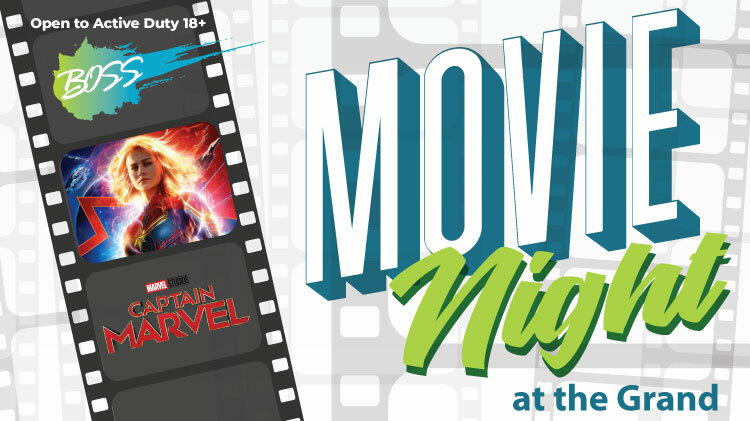 US Army MWR :: View Event :: Boss: Movie Night "Captain Marvel"
Boss: Movie Night "Captain Marvel"
Are you a Single Soldier? Like movies? Join BOSS: Better Opportunities for Single Soldiers for the movie Captain Marvel at The Grand!